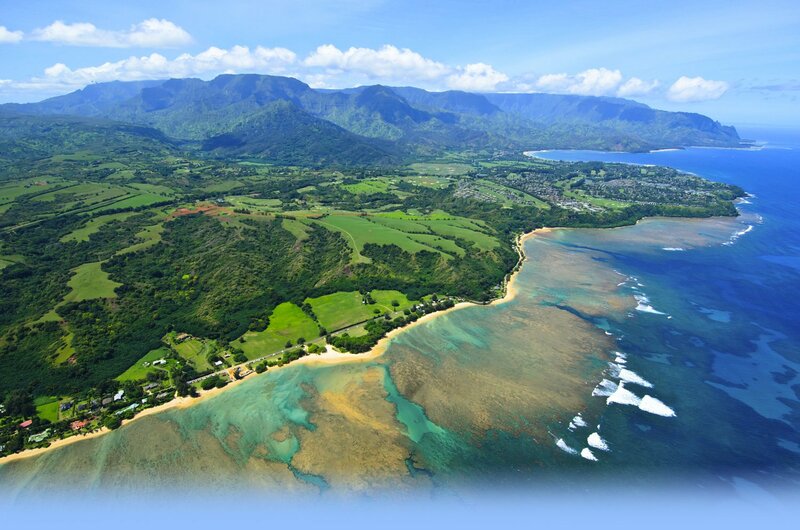 PRINCEVILLE — The Resort Group and East West Partners have joined together to create a new residential community near Princeville at Hanalei. East West Partners will manage the planning, development, marketing and sales of this new North Shore community, which encompasses the Prince Golf Course, clubhouse and oceanside residential homesites. The development includes 700 acres adjacent to the Prince course and calls for 75, 5-acre ranch lots. The North Shore project will feature a spa, retail and culinary center, lush gardens and groves of fruit trees, Hawaii-themed pavilions and open spaces. A network of paths will provide opportunities to walk, hike, and bike to tropical streams and waterfalls. “East West Partners is renowned for creating timeless, high-quality communities throughout the U.S. and is a perfect fit for this idyllic location, said Jeff Stone, founder of The Resort Group. He described it as a low-density development that is positive for the area. Stone said Friday they are spending about $25 million on initial infrastructure improvements, but did not have an estimated price tag for the entire development. “This is a classic, 75-ranch-lot community being handled exclusively by East West Partners,” Stone said. East West Partners has over 50 landmark properties in acclaimed resort and urban hubs across the country. “Our focus is to make the clubhouse and golf course trail system a great asset for the entire North Shore community, including programs on fitness, wellness, hiking, biking and golf,” he said. Princeville at Hanalei was announced by Stone in 2014. It was described as a private, 8,000-acre, 350-unit residential community in Princeville, with the Prince Golf Course as the centerpiece. As part of that plan, the Prince Golf Course was slated to reopen in mid-2016 following $50 million in renovations, including a brand new clubhouse and improved greens, fairways and cart paths.